16 Aug, 2017 in marketing / relationships / speaking by Minette Riordan, Ph.D.
Hi readers – I hear this question a lot and as a workshop leader I have asked it myself. How do you fill your live events. So I invited Robin to answer the question and I love her practical responses. You are passionate about your business, have a good contact list, have built a great relationship with your followers and you are ready to take the next step. A Live Event! Events are an excellent way to find qualified clients, form relationships and close sales. Strategic planning, an ideal location and a great team are not enough for a perfect event. Good, qualified people in the room are needed. Just because you build it doesn’t mean they will come. 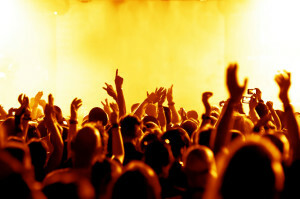 Your enthusiasm is key to getting your attendees motivated. The most oblivious way is email. A well-planned campaign to cultivate interest is a must. Start with a sneak peek or coming soon and continue on to the day the event begins. Pick up the phone. In this day of electronic communication, a phone call is golden. Your contacts will be delighted that you took the time to personally invite them to your event. Social media posts and ads go a long way in getting your name and event out there. A well written ad on Facebook can be a real money maker. Get in front of your audience by hosting a webinar. You can have sponsors and colleagues share in the webinar. This way, you have your list and theirs to market too. Facebook ads and social media can be used to promote the webinar as well. Multiple means of communication and follow up are essential. Follow up not only continues to build your relationship it creates value for what you are offering. Building relationships is what builds your business and will fill your event. CLICK HERE TO SIGN UP FOR A FREE 30 MINUTE EXPLORATORY CONVERSATION. Dr. Minette Riordan is an award-winning entrepreneur with 17 years experience in media, marketing and sales. She is a lover of art, poetry and mythology and a complete geek who digs discussing how businesses work. One of her core values is continuous improvement; she is a seeker, wanderer and adventurer who loves dragons and coffee. Most days you can find her supporting her creative clients to build profitable businesses. And on other days you can find her in her art studio covered in paint.